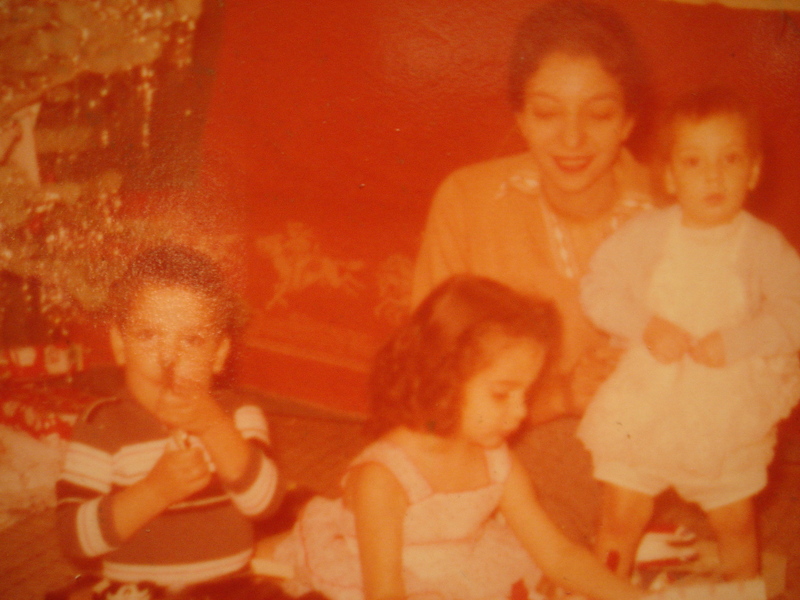 The first recollection of Christmas as a child was when I was about 4½. My brother Michael was 18 months younger and my sister Janis was a baby. We were in a darkened bedroom with the shades drawn, jumping on the beds, waiting, waiting, waiting for the door to finally open. After what seemed like forever, the hall light burst through the opened door of the bedroom and we ran out squealing into the living room to view the beautifully decorated and lighted Christmas tree. Presents with our names on them were scattered around. 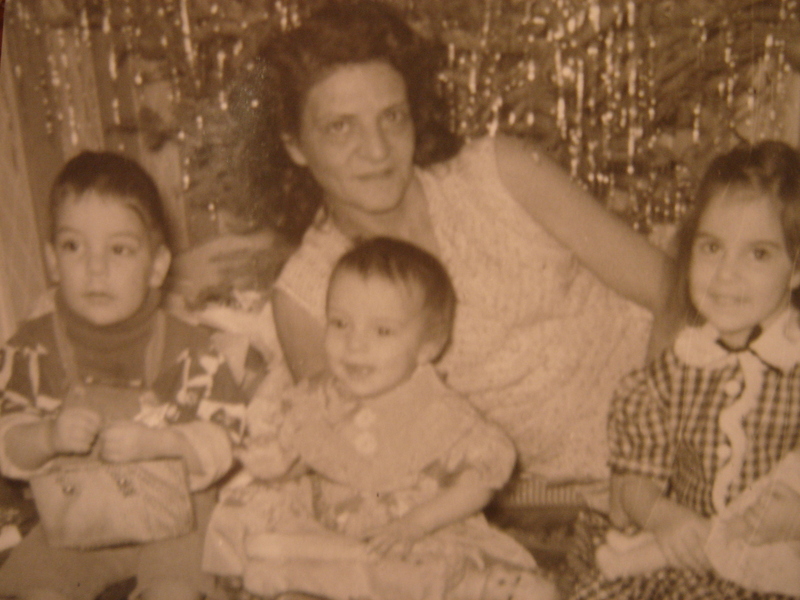 I remember the warm feeling and joy of being with my brother, sister, Mother Rose, and Grandmother Eva. None of us knew at that moment that the next year would bring many unexpected changes of separation for us all. Standing in the Judge’s office that December morning, I seemed to be the center of attention that I did not seek. My insides were screaming “No! Where is my Mother?” But the faces in that circle were staring at me with an expectation of my response which I knew would forever change my future, no matter how I answered. Only half a year earlier, after we had first come to Evelyn’s house, I was placed in yet another foster home where the 12-year old boy hated having a new little “sister” and took out his abusive aggression upon me in daily slaps, kicks and unmentionable acts of cruelty. Begging to be reunited with my brother Michael, they eventually returned me to Evelyn’s. Shortly thereafter she decided to adopt us both. What did I just say? What does that mean for me now? My desperation to stay far away from the 13-different foster homes of hell was my only concern in that moment . . .that, and to save my 5-year old brother Michael from constant beatings and punishments of “bad behavior” — too severe for any living child. I don’t ever want us to be sent back there, was my silent plea. In that moment, I felt I had in some way betrayed my Mother and my sister . . . They did not come back for me. . . A deep sadness and grief came over me on that December morning that I would visit often. But I smiled at the Judge. I smiled at the others in the room. At the age of seven, I learned what it meant to appear to be someone else, even if you do not want to be, even if you do not feel it. I learned to smile through my pain and suffering. I was no longer Michelle Samra. . . or “Shelley” as I had been called by my family. Now I was Carol Noël– meaning “Christmas Carol” in French– because it was nearly Christmas and the adoption was final. I had something to smile about that Christmas however. 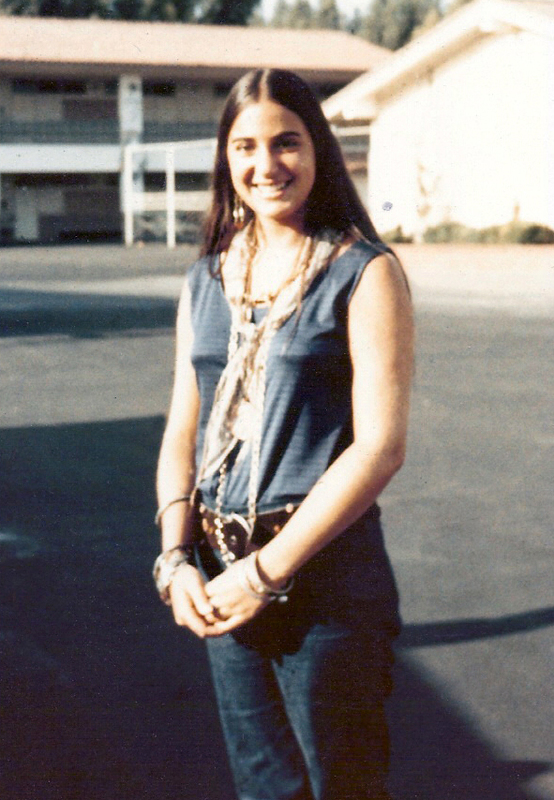 I had been reunited with my brother Michael, and I had a new older sister now, Barbara. Through the years I came to love my name Carol Noël and felt it was a prophetic name of what my life would be: Messiah’s Song. Shortly after Evelyn adopted me, it was discovered that I had a congenital genetic disability in both of my knees called “Ehler’s Danlos.” It required a double knee surgery at aged 10 that required about 2 years for a full recovery. I had a second surgery on my right knee when I was 16 and was laid up for many months. At Christmas time, my very good friends from Church came and sang Christmas carols outside my window. That was one of the kindest acts I can remember that anyone ever did for me! I couldn’t be with them, but they came to me! The most significant thing that ever happened to me at Christmas was my encounter with Jesus! I experienced a rebirth of my spirit that came alive and it forever transformed me. I can honestly say that everything changed from that moment forty years ago this December. The deep sadness and grief I carried was gone now, and in its place was the joy of Jesus’ Presence birthed in me. I was twice adopted. I had a Father who loved me and a Home where I belonged forever. He would never leave me. It changed me. One year later, I would be reunited with my natural Mother Rose, my sister Janis, and a new sister Donna that I had never met. Isn’t God amazing? This December, I was reunited with yet more of my family and 40 years on, it has really come full circle in healing and restoration. That season of Christmas in 1970 for me was a celebration of the Miracle of His presence in me and with me that was tangible. I was so crazy in love with Jesus that His love occupied my thoughts and I was seeing my world through different eyes. My church group of friends also celebrated a spiritual renewal as we worshipped God together, leading the congregation that special Christmas Eve. 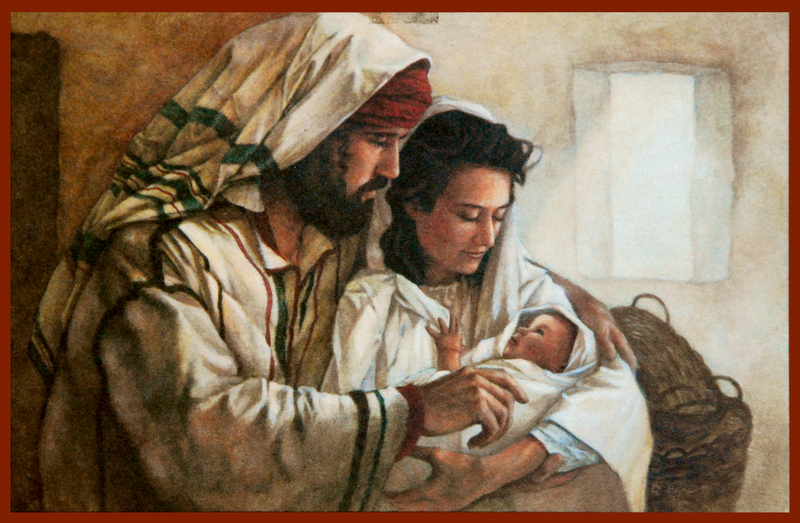 In 1980, we spent our first Christmas in Jerusalem with our 3-year old daughter. 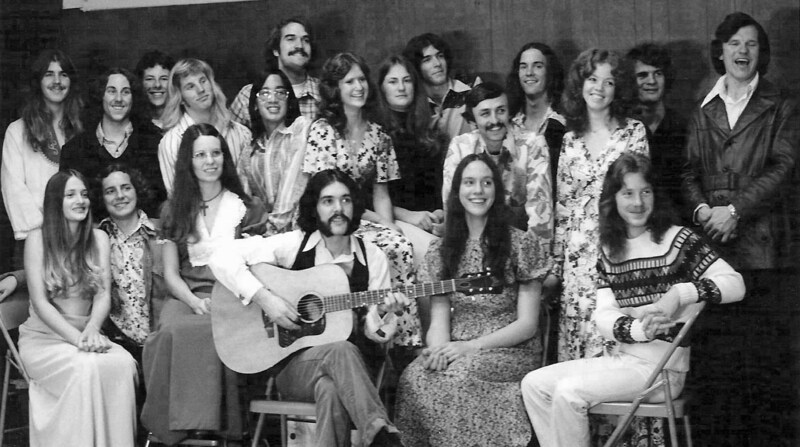 We lived in a Christian-Arab village in the north part of Jerusalem and were involved in full-time language study. I was 6 months pregnant with my son Michael and we wondered how we would celebrate Christmas this year. 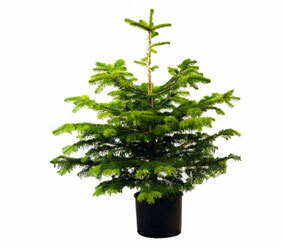 Our mouths were gaping open as we stared at our little Jerusalem Christmas tree in a pot. I gathered pieces of material from old clothes and curtains and set to work sewing little decorations. This was a homemade crafts Christmas! Ron and I made a rag doll out of sheets for Heather because she didn’t have any dolls to play with. We used sheep’s wool for hair and painted on a face. We called her little doll “Golda” after the Israeli former Prime Minister Golda Meir. Heather loved that little doll. Two weeks later Itzhak came back to see our potted Christmas tree and we showed off our simple little decorations. He was delighted, and we shared stories together as we sampled Christmas goodies. Itzhak became good friends with our family. This was the first of 20 Christmases in Israel we would celebrate. Over the years, we learned that the Israeli forests are trimmed and maintained intentionally at Christmastime in order to provide Christian communities live trees. Ron and I felt that was such a beautiful expression by Israelis who don’t even celebrate Christmas. We too were recipients of this gift of Israelis given to Christians. They always wanted to ensure Christians had a good Christmas. Thank you Israel, for your kindness to us. But the stunning part of this evening was going through security just to get in to Bethlehem. Because terrorists prefer to strike when there are large crowds of people, the Israeli security forces make sure that it will be a safe and pleasant experience for tourists that come from around the world. The Israeli security teams had set up a warmed tent with candy canes, hot chocolate, and other treats as they processed each Christian pilgrim going in to Bethlehem to make the experience a little easier. 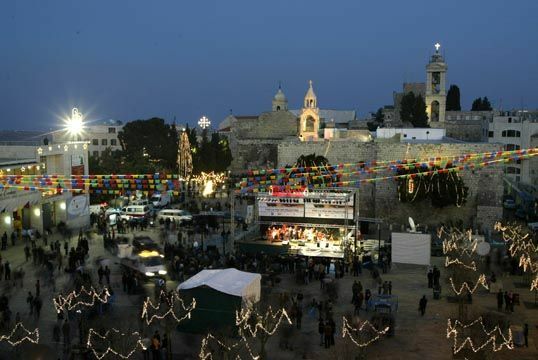 The city of Jerusalem and Bethlehem had put up Christmas decorations to light the road to Bethlehem. As my husband and I passed through each security checkpoint, we looked into the eyes of each Israeli security person and thanked them personally. They smiled — with relief actually! I have to say that was a very special year for me, and it brought tears to my eyes to see their loving care for us, making sure we would have a happy Christmas celebration. I worked as the Personal Assistant/Secretary for Derek Prince the last 3 years of his life in England and Jerusalem. Derek returned to live in his Jerusalem home a year after his 2nd wife Ruth died. “How would you and Ron like to go to hear Handel’s Messiah with me this year?” Derek asked one day as I worked with him in his office. To hear Handel’s Messiah in Israel would be a first – for all of us! As his secretary, I made all the arrangements. Derek came over to our house on Christmas Day for dinner – and I pulled out all the stops that year! It was, after all, his first Christmas back in Jerusalem, and I wanted to make sure we all had a memorable time. After our Christmas dinner of prime rib and turkey, we piled into a caravan of cars and drove over to the International Convention Center in Jerusalem to hear Handel’s Messiah performed that night by an international choir and orchestra. The auditorium was filled with Christians and Israeli’s who love this classical masterpiece. And, it was a magnificent performance. This was a very special Christmas for Ron and I – to enjoy both Handel’s Messiah in Jerusalem and Derek at our home for Christmas dinner. One year in Jerusalem with our three adult children, we decided as a family that since we had little money to purchase gifts, all of our gifts would be homemade. It would require that we all be very creative. I have to say this was one of the funnest times we ever had. Each one used their skills as a photographer, graphic artist, oil painter, music, sewing, crafts, woodcarving, cooking — all of them were employed to come up with unique and special gifts that was great fun to share with each other. We had several nights of family crafts where we made Christmas ornaments from bread dough, decorated candles, made a gingerbread house from scratch, gathered fir branches for wreaths, and much more. Though we have had difficulties as a family – and who doesn’t? – Christmas allows us to come together and express a deeper level of love that goes beyond fault-finding. It can be the manifestation of Heaven’s peace come to earth. May it be so in each of our households this Christmas. My Israeli neighbors love Christmas – which always amazed Ron and I. We often had friends and neighbors knock on our door just to come in and see how we decorated for Christmas. “It reminds me of when I lived in Europe as a child,” one neighbor told us. Many Israelis, however, had never before seen how a Christian celebrates “The Birth,” as it is referred to in Hebrew. So, the last Christmas we were in Israel we actually made two full Christmas dinners because we had so many Israeli friends who wanted to come to dinner! They also like to “taste” Christmas, and of course, everything is homemade and authentic! It was very special to have two evenings where friends and family could come and share in our favorite celebration of The Birth. I would like to take this opportunity to wish you a very Merry Christmas as you gather together with your family and friends this year! May the Presence of God’s shalom and blessings be upon your household as you celebrate Immanuel – God with us! God bless us — every one! !